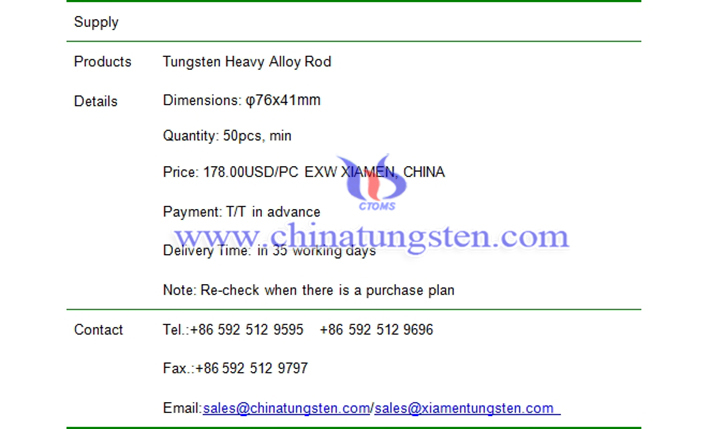 φ76x41mm tungsten heavy alloy rod price is 178.00USD/PC on Jan. 02, 2019. 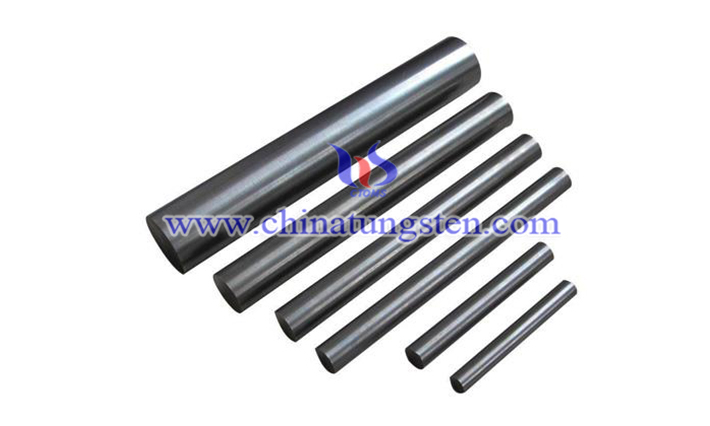 The composition of the rod is 92.5WNIFE with density of 17.4~17.6g/cc. Its size conforms to international standard ASTM B777. As with all of our materials, our rod begins as metal powder, pressed in to ingots, sintered, and then swaged and drawn down. Our advanced drawing / swaging process enables us to tailor the product to meet specific customer material and performance requirements to ensure optimal performance in your application.